What would you do for your freedom? What would you do for someone else? Called the Moses of her people, Harriet Tubman risked her life to escape slavery and then risked her freedom and her life again to help free many other people. This courageous and deeply spiritual woman, now the Underground Railroad’s best known conductor, lived her ideals and dedicated her life to human rights. Born into slavery in 1822, Harriet Tubman escaped from a Maryland plantation in 1849 via the Underground Railroad—a hidden network of places and people dedicated to helping enslaved African-Americans find their way to freedom. Over the next ten years, she made about 13 trips into the South to lead her family and approximately 70 others on the perilous journey to freedom. And she never lost a single passenger. Determined to end slavery, Tubman later served as a Union Army scout, spy and nurse during the Civil War. In June 1863, she guided Colonel James Montgomery and his black regiment to rout Confederate outposts, liberating over 700 slaves. After the war she settled in Auburn, in New York’s Finger Lakes region—a center for progressive thought—and continued to campaign for civil rights and women’s suffrage. Her humanitarian work included caring for the sick, homeless and disabled of all races and establishing a home for the aged. She died at age 90 in 1913 and was buried in Fort Hill Cemetery with semi-military honors. 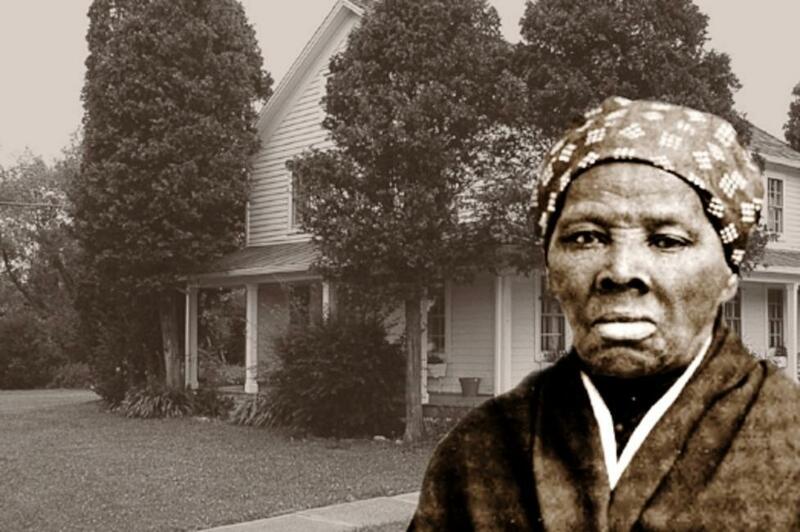 Today you can experience her inspiring life story at the Harriet Tubman Home and the new Harriet Tubman National Historical Park in Auburn, at the northern tip of Owasco Lake. 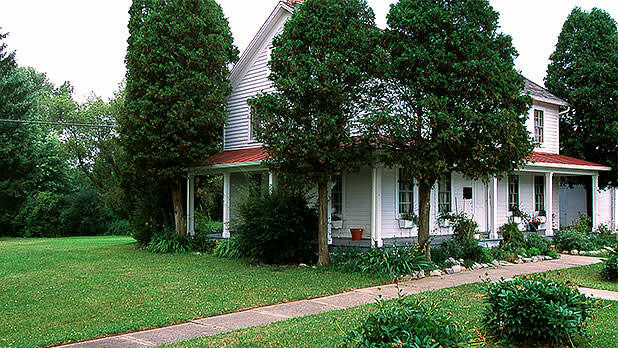 Nearby, visit the Seward House Museum, where Harriet was a frequent guest of President Lincoln’s Secretary of State, and learn about its Underground Railroad connection. About 15 miles away in Seneca Falls, the Women’s Rights National Historical Park highlights leaders of the women’s rights and abolitionist movements including Harriet Tubman and Martha Wright, who worked together on the Underground Railroad network along with other 19th-century reformers like Frederick Douglass and Elizabeth Cady Stanton. 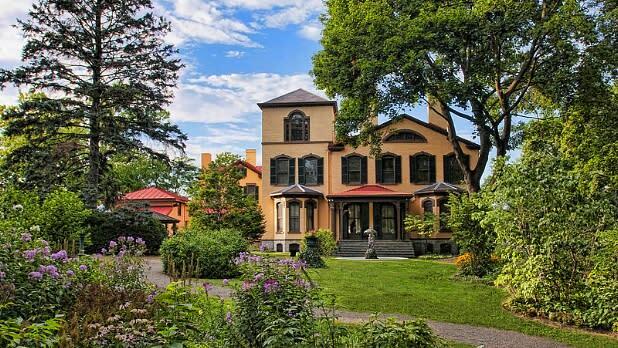 Discover unique Underground Railroad sites across New York—from Brooklyn’s Plymouth Church of the Pilgrims, to Erie Canal towpaths, to the North Star Underground Railroad Museum and John Brown Farm State Historic Site in the Adirondacks, to Murphy Orchards and the Niagara Arts & Cultural Center’s Freedom Crossing exhibit near Niagara Falls. In New York City, the Harriet Tubman Memorial stands at the crossroads of Harlem’s St. Nicholas Avenue and Frederick Douglass Boulevard. A 10-foot-tall bronze statue honors the indomitable five-foot-tall American hero, all that she did, and the many lives she saved.